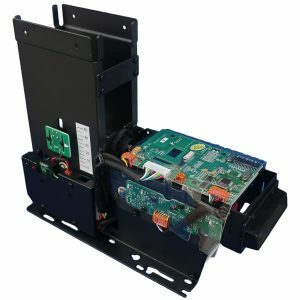 MTK-571 is the motorized card dispenser machine built to accommodate an RFID Module or a Smart card module. The dispenser is based on a unique and reliable mechanism within a smooth transportation mechanism. The card dispenser MTK-571, based on a unique and reliable mechanism and completely frictionless, allows for a perfect operation without incident for over 2 million runs.